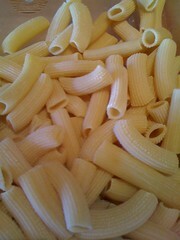 A tube shaped pasta with a fin. 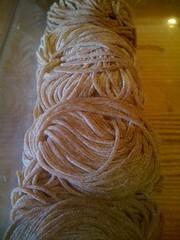 A type of pasta with cylinder-shaped pieces. 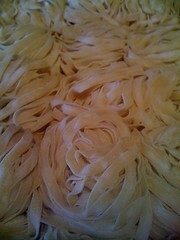 A form of pasta — flat like fettuccine and trenette, but narrow like spaghetti. The name means “little tongues” in Italian. 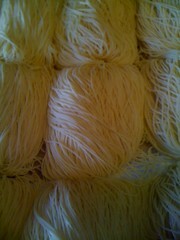 A type of pasta, round in section and somewhat thinner than spaghetti. When creating this recipe we wanted a sauce that had character and contained vodka not just in name. This sauce satisfied our desire and conveys the taste of vodka without the alcohol. The vodka contrasts with and enhances the tomato flavor. The cream mellows out its spicy nature resulting from the combination of both red and black pepper along with garlic. My wife loves this sauce with Roasted Pork and Sage ravioli. 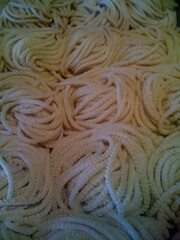 Pasta: Any long pasta or meaty filled pasta. Wine: Spicy white or red. This is the traditional “working girl’s” sauce, not the “everything left in your fridge” sauce it has become in America. It’s made up of just what the Italian working girls could carry with them that did not require refrigeration: tomato, garlic, red pepper, nicoise olive, caper, anchovy and white wine. This sauce is kind of like Woody Allen – those that love it, love it. Those that don’t, don’t – there is no middle ground. It’s quite a sophisticated taste for the younger set. Pasta: Any long pasta or bold flavored filled pasta. Wine: Spicy red or deep honey-colored big fruit Sauvignon Blanc. This sauce traditionally accompanies sautéed chicken by the same name. We found select customers love the lemon, shallot, caper, butter, white wine sauce with their pasta. It has limitless possibilities. Every time we make this sauce, customers are drawn into the store by the fragrance of fresh basil, garlic, olive oil, and cheese that is indicative of summer. The sauce is rounded out with a little lemon and black pepper. 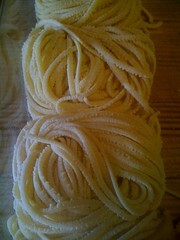 Pasta: Any long pasta or bold filled pasta. Wine: Medium bodied red or white. Our signature, best selling red sauce! This is considered by many to be the best sauce we make, and after tasting it, some customers have never tried any other sauce. Its unique flavor is derived by not skimping on the quantity of high quality prosciutto that is sautéed with garlic and spices and brightened with white wine and tomato. 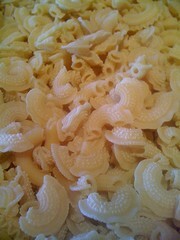 Pasta: Radiatori, rotini, shell, linguini, any meat or cheese ravioli. Wine: Complex red or white. This sauce melds shallot, pancetta, black pepper, egg, a little cream, and olive oil into a rich, flavorful treat. Wine: Bold red or spicy white.